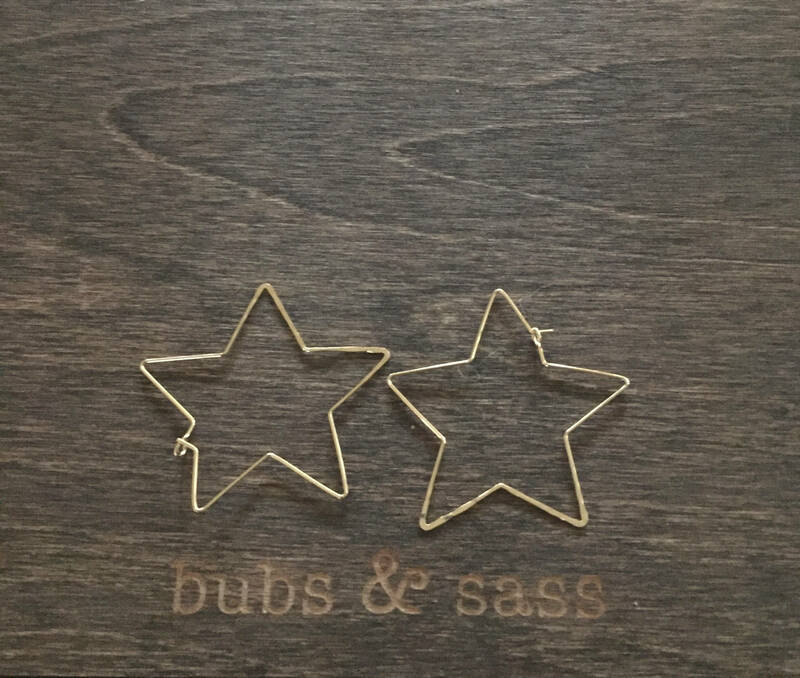 Hammered Star Wire Earrings. 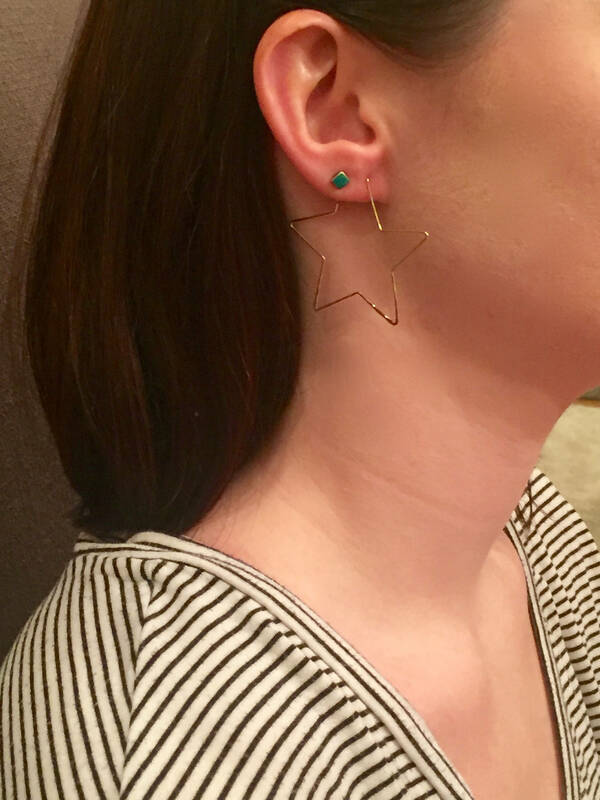 Star Earrings. Star hoops. Hoop Earrings. 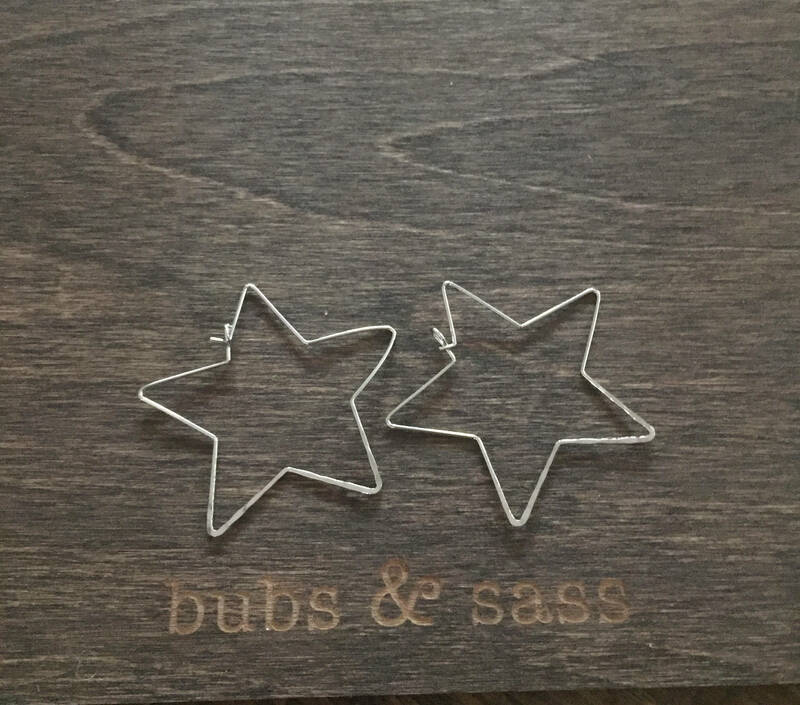 Star Hoop Earrings. Hammered star hoop earrings. So on trend right now. Light and fabulous.